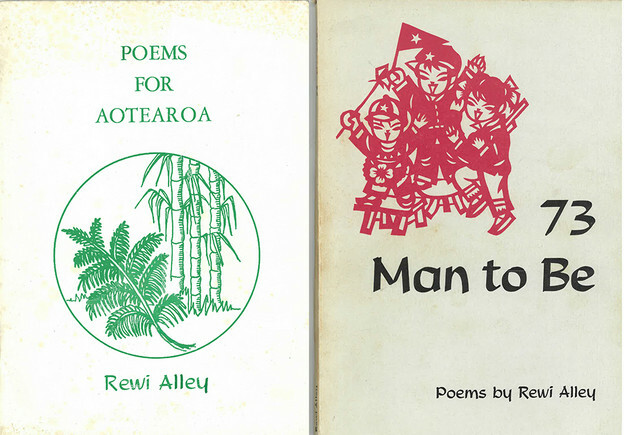 Rewi Alley, 'Poems for Aotearoa' (Auckland: New Zealand-China Society and Progressive Book Society, 1972) and '73 Man to Be' (Christchurch: Caxton Press, 1970). The New Zealander Rewi Alley (1897–1987) was raised in a progressive home imbued with a range of ideals (educational, suffragist, and in favor of Henry George-style land reform) during the late Victorian period of colonial settlement by English migrants. This vibrant and highly energized (and energizing) young man had a mixed rural and urban upbringing during the light-leftist Liberal Government of Premier Richard Seddon, and his urban secondary school (Christchurch Boys’ High School) was then a site of Anglophile and imperialistic views as well as an elite “prep” school for Canterbury College. It is no surprise, therefore, that Rewi and his elder brother (Eric) volunteered to serve in the slaughter of the Great War, Eric dying at the Somme (1916) and Rewi badly wounded after acts of great valor near Cambrai-Baupame in late 1918. The New Zealander Rewi Alley (1897–1987) was raised in a progressive home imbued with a range of ideals (educational, suffragist, and in favor of Henry George-style land reform) during the late Victorian period of colonial settlement by English migrants.